Fabulous story….so glad you got your breakthrough! Still searching for my missing link (15 years now) …..
OH MY GOD, what a fascinating story! I’m so glad you sat down to write this up. The final twist was the icing on the cake. And now I see, in looking through my great aunt’s research, that I have a Lister or two in my family tree. I’m kind of delighted, and off to read further, thanks to you. I really loved this story about your Great-Grandfather John Lister. You brought him to life with your writing. He sounds as if he were quite a character! Amazing story and tenacity. If it were I, I would want to go back to that end house again and just stand inside and breathe the air again. Hi! Thanks! Yes, I will go back one day – my biggest regret in life is not buying that house. We went back a few years after we moved out, and looked over the fence – and my entire garden was gone, under decking and gravel. That garden was my pride and joy! Had so many herbs and dye plants and was so pretty… It had been a wilderness when we moved in and we had very little money so I grew everything from seed or cuttings. Broke my heart to see it, so I never went back, all the later years we still lived in Brum I’d kind of avoid it. It was odd that the whole love of genealogy started there with us getting John’s son added to the memorial. It still stuns me to think in a city of now 2 million people, I think, and all those endless Victorian terraces all over the city in every district – a part of John’s long lost story actually started right on the site of the house where we lived. What are the odds? Ello, you! My Listers were only in Huddersfield for a generation – before that, Halifax; after that – Leeds. 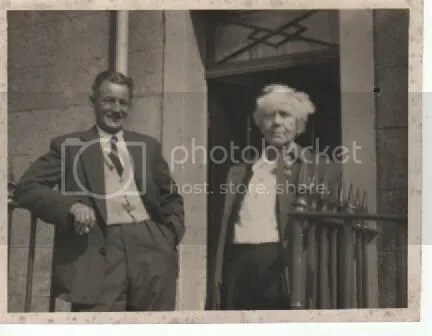 But John’s mum’s family go way back in Huddersfield – especially round Longwood; Crabtrees, Dawsons, Earnshaws and Smiths are just a few of the names, Ann, so if you have any of those names in your family tree – we could well be related!